Having anxiety over visiting the dentist is actually very normal and seen in a lot of people, but it can be even more challenging for those who have Down Syndrome. Patients with Down Syndrome may not always be able to let the dentist do what must be done, so being prepared is the best way to ensure that everyone involved will have a good experience. It may be tempting to simply put off dental care due to the complexity of the situation, but in order to avoid an emergency dental situation, it’s important to find a dentist you can trust and go regularly. When compared to children without Down Syndrome, patients are often seen with both baby and permanent teeth coming in at a later time. Delayed eruption is a prime example of the handful of common dental problems that are seen in patients with Down Syndrome. Although, some of the common dental problems are as a result of other factors, such as genetics, for example. This can make it difficult to distinguish what is the result of the Down Syndrome, genetics, habits, or any other factor. Depending on how severe a patient’s Down Syndrome is, they may have difficulty with properly communicating the problem, the amount of pain they’re in, etc. As a result, even the most simple of oral health issues can become a major problem in no time. 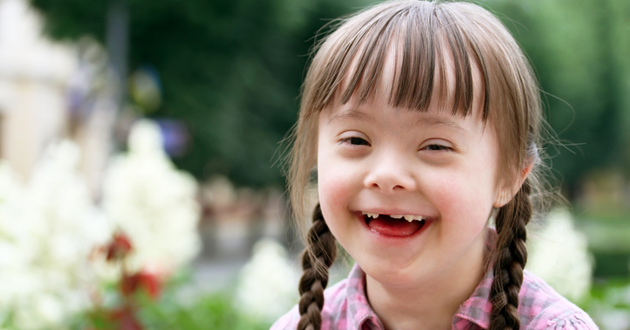 Patients with Down Syndrome can have a very large fear of going to the dentist. They may not understand what is happening. For example, if your loved one is wary around new people and does not like to be touched, having a stranger’s hands with tools in their mouth can be a very scary situation for them. With this in mind, it’s important to help your loved one with their fear and anxieties as much as possible to ensure the visit goes as smoothly as possible. Thankfully, however, there are a handful of ways to make the visit easier on everyone. Patients with any type of special need can benefit from being sedated with a general anesthesia during the appointment. Sedation is sometimes necessary if they must have dental work done because their health is at risk and they do not want to cooperate with the dentist. 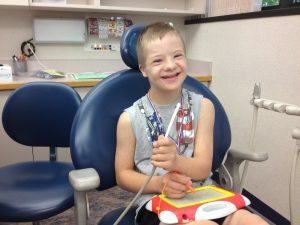 A lot of patients without special needs opt for sedation dentistry, so having it done for a patient with Down Syndrome is not uncommon at all. Sedation dentistry, or “sleep dentistry”, helps to keep the patient calm and in a relaxed state. This type of sedation is nothing close to being put completely under. Nobody likes having someone poke around in their mouths with tools, so for easing the experience, especially in the case of an uncooperative patient, sedation is definitely an option to ask your loved one’s dentist about. This can be particularly important for major dental surgeries, pay particular attention to sedation options in these cases. 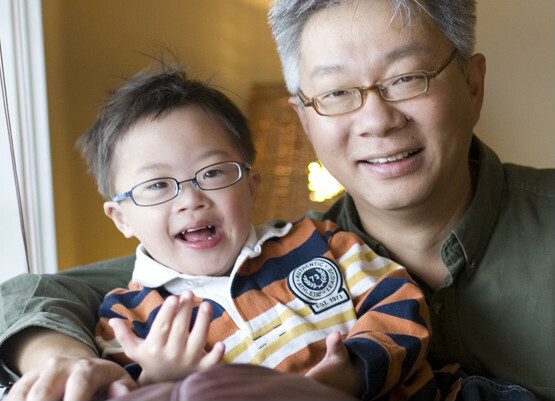 Interestingly enough, there are dentists out there that care for patients with special needs. Special needs dentists are extremely beneficial because they are required to have an additional three years of dental training and know what your loved one needs. Unfortunately, however, special needs dentists can be difficult to find. Asking your local dental office for any information that could help you find one is one of the best ways to track one down, but you do have other options such as an advocacy organization for all different types of special needs. Special needs advocacy organizations provide caregivers of loved ones with special needs a lot of beneficial information, especially where dental health is concerned. The National Down Syndrome Society has a number of resources available that loved ones can look into, including a database of health care providers. Also for Australian citizens please use http://www.downsyndrome.org.au/. Advocacy organizations for special needs have helpful information, representatives you can ask for help, and a number of other relevant resources that can help you give your loved one the proper care that they need and deserve in any instance. Special needs dentists aside, finding the right dentist for your loved one is extremely important. Finding a dentist who is patient and understanding of your loved one is the first step to having a smooth experience at the dentist. Look for a dentist that has a systematic approach to all examinations and treatments that your loved one will receive. You should also ask if they have any experience in dealing with patients that have special needs and if they offer sedation dentistry in case your loved one becomes too difficult to safely work on. Flexible appointment scheduling is also worth asking about, as well. 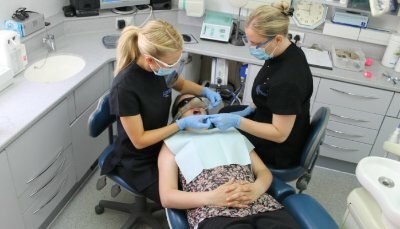 Were the staff and the dentist interacting positively with my loved one? Will the staff and the dentist be patient, comforting, and understanding with my loved one? Will my loved one feel comfortable here? Have the staff and/or the dentist had any experience or additional training with special needs patients? Will this office be able to have flexible scheduling for my loved one in case something should happen to come up? Does this practice offer any additional services that are designed specifically with special needs patients in mind? You can look into finding the right dentist by first making contact with the local practices within your surrounding area. If none of them are right for your loved one, try using the ADA’s Find A Dentist search and directory. They may have options in your area that you didn’t find or already look into. Asking your friends, family, doctor, or someone you know with a loved one with special needs for recommendations. What’s more, your dental insurance provider may have some great choices for you as well. You may find the perfect dentist for your loved one by asking around this way. If your loved one has equipment requirements that must be accommodated for their visit, make sure you inquire about them while making the appointment. For example, if your loved one is in a wheelchair, you must make sure that the office has accommodations, such as a ramp outside to access the door before you book the appointment. If your loved one has never been to a local dentist’s office before, preparing them for the appointment is something you’re definitely going to want to do. Talking to them about what a dentist is, what they will be doing (if you know the specifics), and what it’s like will be a big help. Make sure that you describe a typical appointment at the dentist as a positive one. Even if you know there will be negatives to their appointment, leave those out and only focus on what will encourage them to have a positive view of their upcoming appointment. Showing them visuals on the dentist is also beneficial, as well. For example, you could show them their dentist’s website, go to the office and say hello to the staff, or even give them a personal, positive, experience of your own. 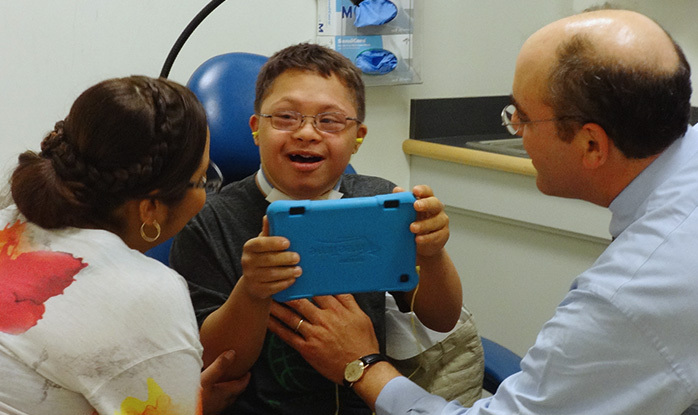 Read more about finding a Special Needs Dentist near you here. Making the experience an easy one is a lot more simple than you may initially think. Bring something that your loved one is familiar with to the appointment for example. This includes having their favorite movie playing during their appointment if the dentist has a TV in the room. If your loved one is a child, you could bring their favorite toy for them to hold onto while they are being worked on. Asking for split treatments is a great way to ease the stress and the anxiety of the appointment, as well. Split treatments are only for patients who need to have quite a bit of work done and are extremely beneficial for patients with special needs. They help to ensure that the experience won’t be as prolonged or as stressful. Practicing proper oral hygiene at home is just as important as regular visits to the dentist if not much more. However, depending on the circumstance, those with special needs can have extreme difficulty with proper oral hygiene. This is why you, as the caregiver, must help them with this. If your loved one with Down Syndrome is a child, starting proper oral hygiene early is the best place to start. However, if your loved one is a teenager, adult, or a senior, remember that it’s never too late to practice proper oral hygiene. Starting with brushing is best. Brush your teeth with them or let them watch you while you brush yours. You must show them that brushing their teeth twice is a day is both a regular and important thing to do. Use soft strokes at a 45-degree angle from the gums while brushing the base of the teeth and the gums. Brush up and Down in a circular motion along the surface of each tooth. Flossing may be a more difficult routine to approach. If your loved one wants nothing to do with flossing it’s important that you do not force them. Although, you can also show them that you not only brush your teeth but that you floss regularly as well. This may be a stepping stone in encouraging them to allow you to do it for them, or for them to do it themselves. Mouthwash, like flossing, may also be difficult. It’s commonly seen in patients with Down Syndrome that spitting can be difficult. If this is the case, and they tend to swallow when they are supposed to spit, do not give them mouthwash. Once you have established proper oral hygiene habits, it’s up to you to ensure that they stick to the routine. Even if they haven’t engaged themselves, but have been watching you brush, floss, etc., keep that routine a regular one. They will eventually want to join in, too. Be regular, enthusiastic, and always remind them of the importance of proper oral hygiene. Patience is definitely a virtue in this area, as well! Your loved one with special needs, no matter which form, requires the same amount of dental health care as people without special needs do. Finding the proper resources that can help make their oral health regime and routines as easy as possible for them can be a bit of a challenge, but once the ball starts rolling you’ll find they’ll grow to learn and enjoy it as much as you do! This website has some useful information that any caregiver of someone with special needs can benefit from, including dental help resources. Australia based website for advocacy and information surrounding Down Syndrome. This website has beneficial information regarding proper oral hygiene for those who have a young child with special needs. This website has useful information for caregivers of someone with special needs who need advice and “what to expect” for appointments at a dental office. The National Down Syndrome Society is a wonderful advocacy organization for caregivers of someone with Down Syndrome. They have advice, resources, etc. DrGreg@emergencydentistsusa.comDr. 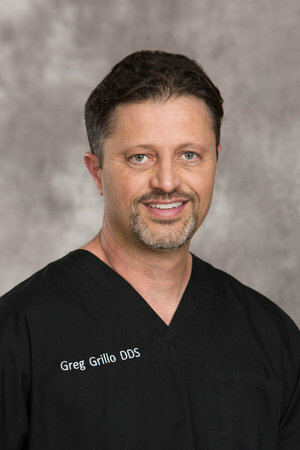 Greg Grillo DDS has more than two decades of expertise as a dental practitioner. His combined passion for dental marketing and knowledge of dental software, makes him an invaluable asset to our team.